The Bookpress Ltd. is located in historic Williamsburg, Virginia, near the junction of Jamestown Road and Route 199. In the shop, we sell a wide range of books, maps, and prints. We are open from 10 am to 5 pm, Monday through Friday, and at other times by appointment or chance. Additionally, we issue regularly printed catalogues featuring books on Architecture, Fine and Applied Arts, Gardening, the Book Arts (including the History of Printing), Colonial Americana and Virginiana, Wine, and Horticulture, as well as Rare Books in other subject areas. We frequently list web catalogues with accompanying images of many of our books on the catalogues section of our website. If you are interested in receiving our printed catalogues, we would be happy to add your name to our mailing list. We would also be glad to add you to our web mailing for when we update our web catalogues if you furnish us with your e-mail address. Just click on "Contact Us" above and fill out the information. In addition to publishing catalogues, we also exhibit at book fairs throughout the United States. 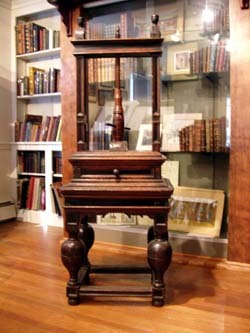 The Bookpress Ltd. was founded in 1973. 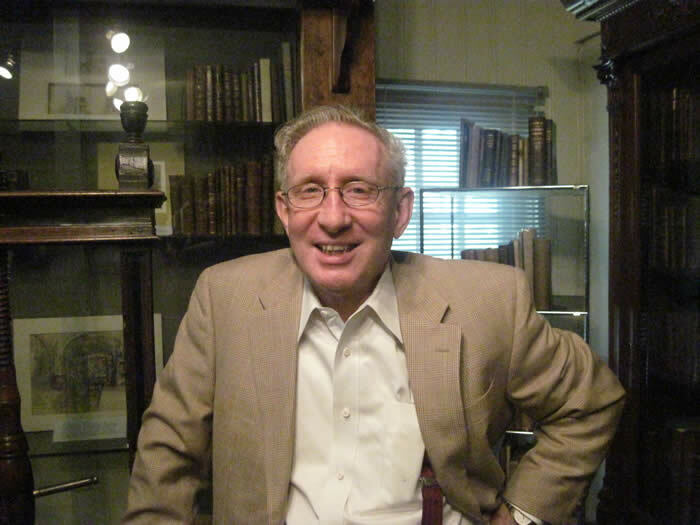 Owner, John Robert Curtis, Jr. is a member of the Antiquarian Booksellers' Association of America and a past member of their Board of Governors. Post Office Box KP, Williamsburg, Virginia 23187. Map to The Bookpress, Ltd.
JOHN ROBERT CURTIS, JR. is a graduate of Harvard University, Class of 1962. He was a Peace Corp volunteer and later served in several administrative positions for the organization . John was a founding partner, with Marcia Carter and Larry McMurtry, in Booked-Up, leaving to form The Bookpress Ltd. in 1973. He is a past owner of the internationally known Trellis Restaurant of Williamsburg. John is also past-President of the Virginia Museum, and Trustee of China Institute of America, Chrysler Museum of Art, and the Lower James River Association. 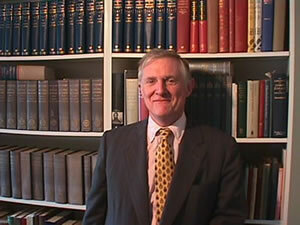 JOHN BALLINGER, was a partner in The Bookpress Ltd. from 1982 – 2010. John passed away on July 16, 2010 after a lengthy illness. He is the author of The Williamsburg Forgeries and The Jefferson Letters, mysteries about the rare book trade. He will be remembered for his quick wit and amusing storytelling, among many other things. BENNIE BROWN, our Cataloguer, is a native of Norfolk, Virginia, with an M.A. degree from the University of Georgia. He was the first librarian-curator at Gunston Hall, the eighteenth-century plantation home of George Mason and is currently doing research on early Virginia libraries. He has been a frequent speaker on the subject at various symposia.